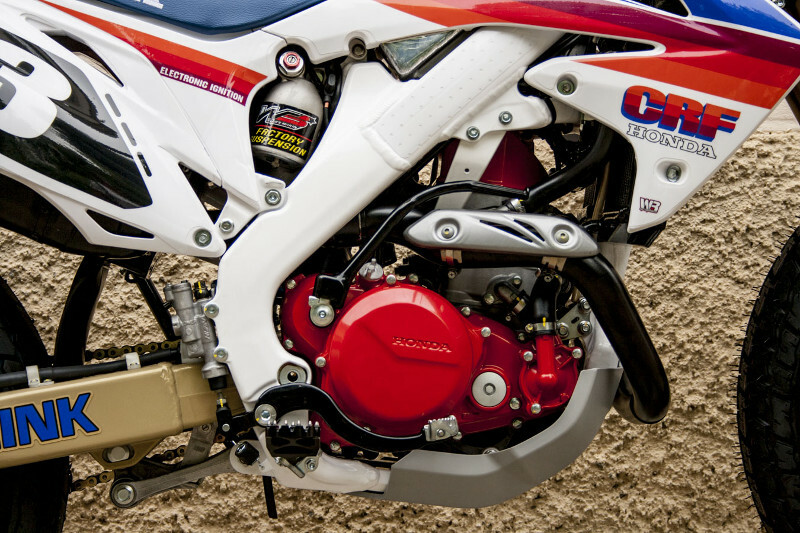 The Honda CRF450 is the company’s four-stroke, 450-class dirt weapon. 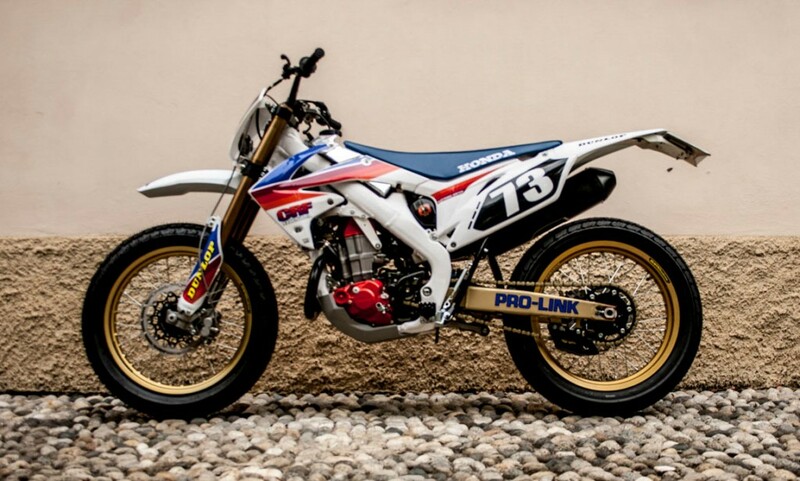 The bike is available in motocross (CRF450R) and trail/enduro versions (CRF450X). 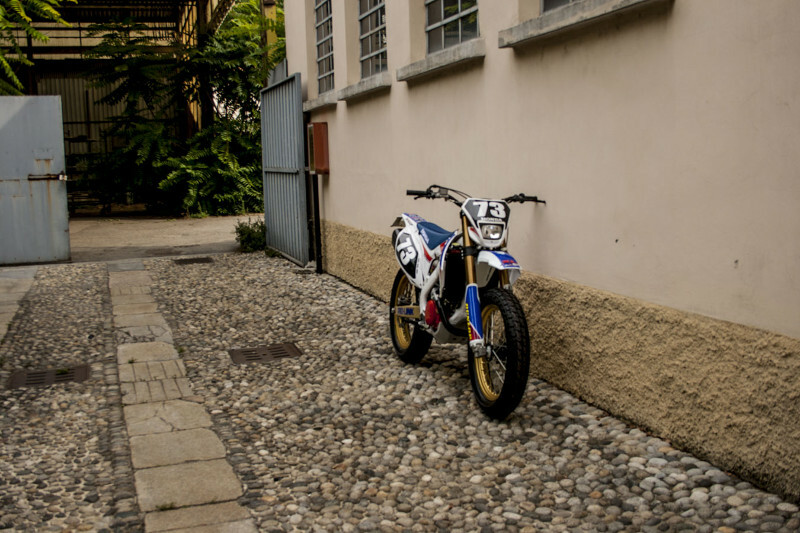 In enduro trim, the bike offers around 45 horsepower from its liquid-cooled, fuel-injected engine, along with electric start and a wet weight of less than 270 pounds. 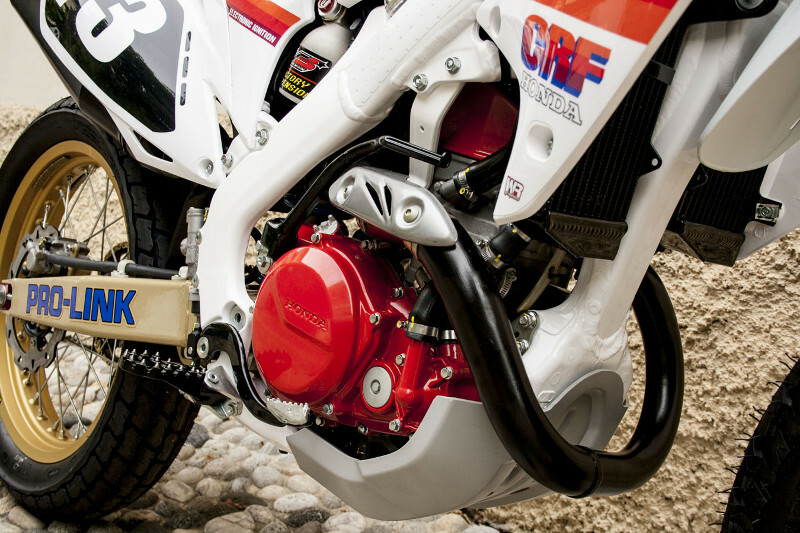 Versions of the CRF450 have been successful in everything from motocross to desert racing to flat track. 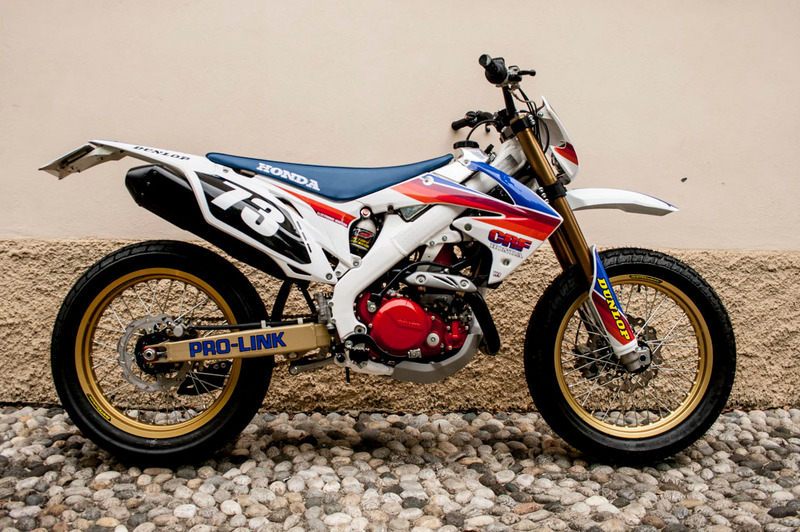 In 2018, Honda announced the CRF450L, a street-legal version of the 450-class hot rod. Enter Gianpaolo Serrao D’Aquino (GP) of Milan’s Meccanica Serrao d’Aquino, who was already one step ahead of the game. 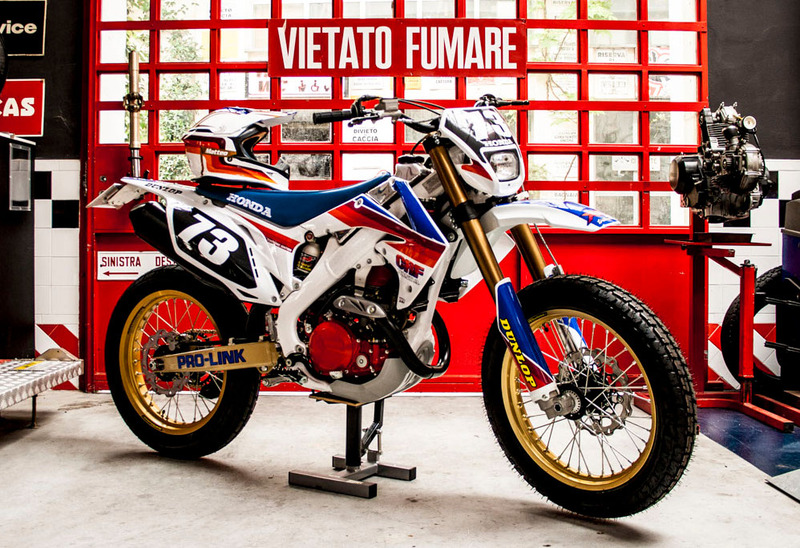 His client, as a boy, had always dreamed of owning a Honda XL600LM, the Paris Dakar version of the venerable Honda big single, which came outfitted with long-range fuel tank, gold wheels, and red-white-blue racing livery. So GP and his customer decided to transform a 2011 CRF450 into an XL tribute. 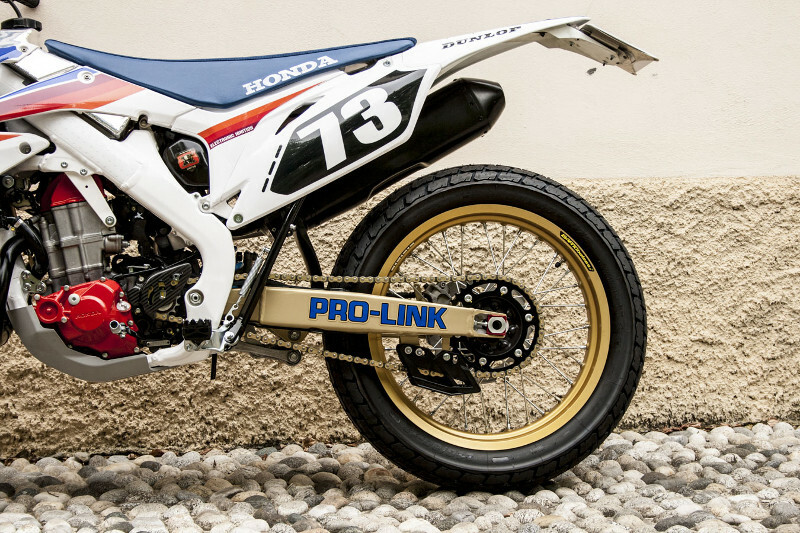 The result is this street-legal Honda CRF450 “urban flat track” machine — a bike that’s both nostalgic and modern and simply begs to be flogged. Seriously, it’s hard to conceive of a machine that would be more fun to rip through the urban cityscape. 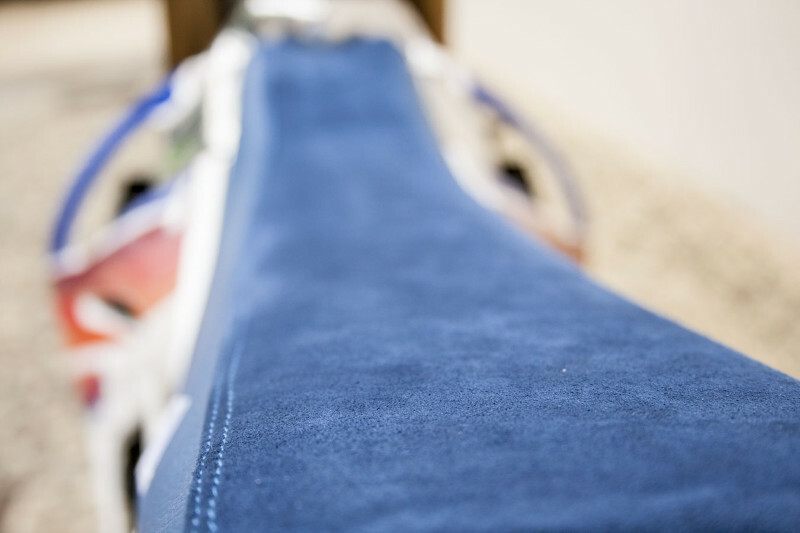 Below, we get the full story on the build from GP himself. 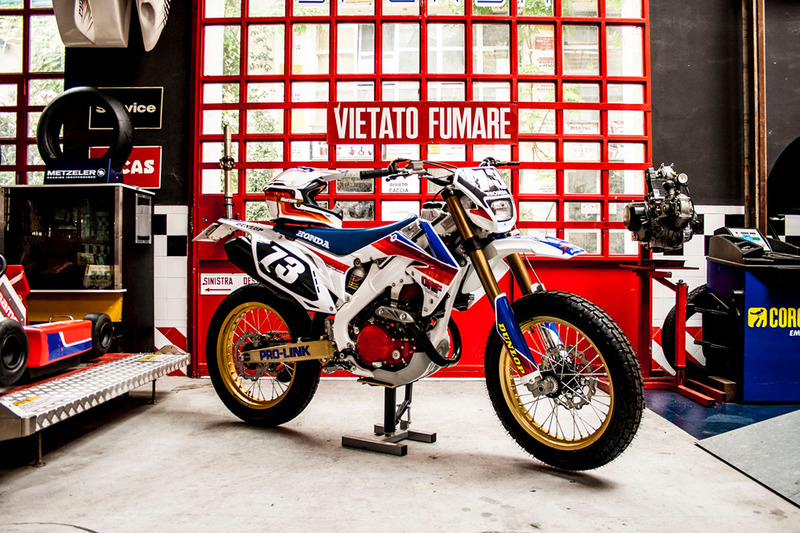 • Please tell us a bit about yourself, your history with motorcycles, and your workshop. I’m Gianpaolo Serrao D’Aquino. 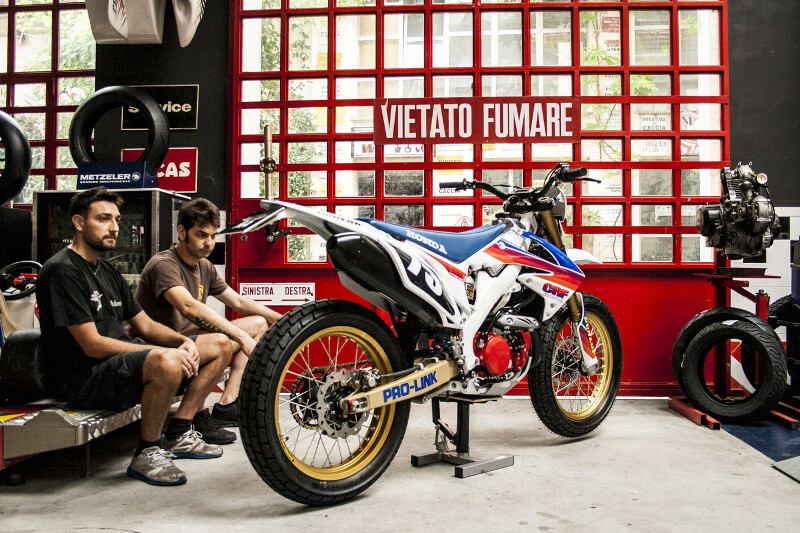 I’m a mechanic and I moved from the south of Italy to follow my passion for motorcycles. 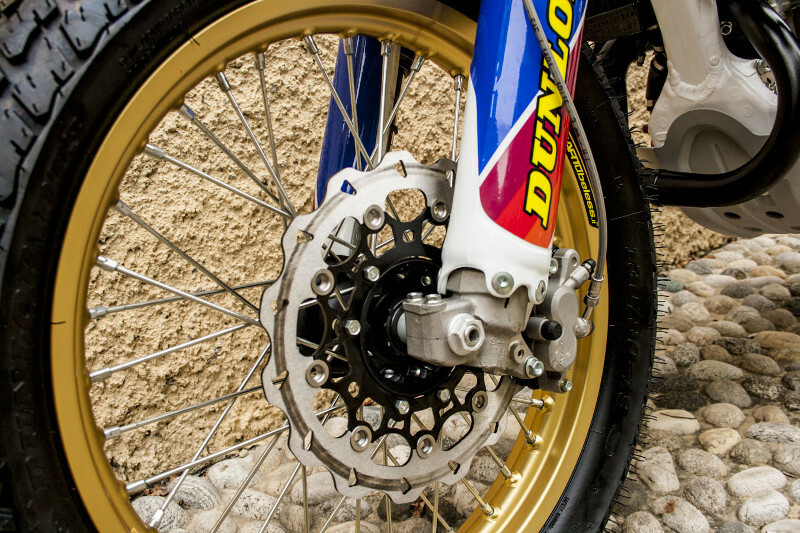 • What’s the make, model, and year of the bike? • Why was this bike built? 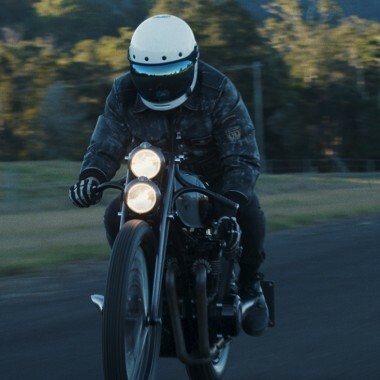 It was a customer’s dream, because when he was young his father didn’t want him to buy a motorcycle, and he dreamed of owning a Honda XL600LM. 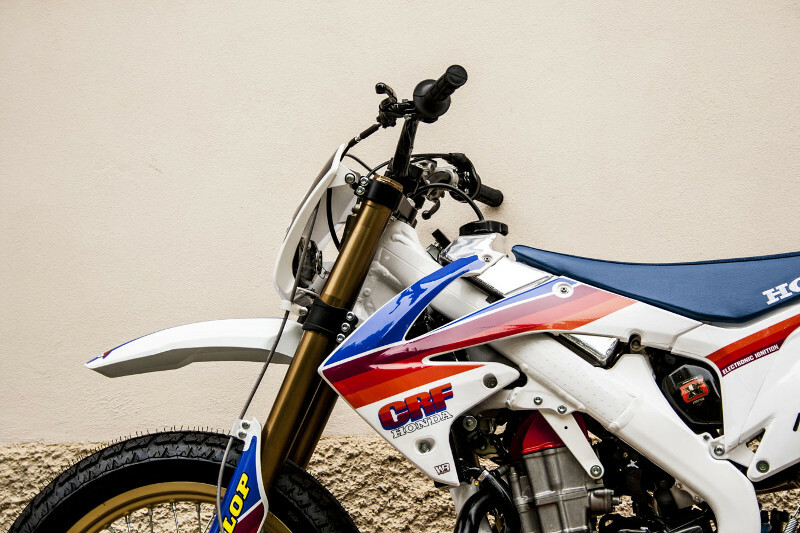 Now we’ve this CRF with the colors from the XL. • What was the design concept and what influenced the build? A tribute to the client’s adolescent dream, a Honda XL600 Paris Dakar. 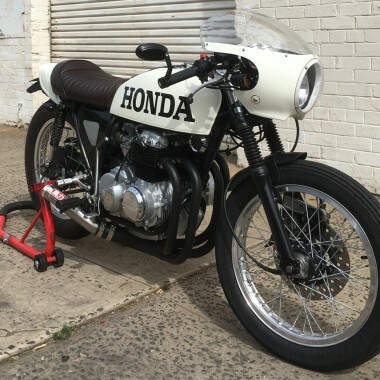 • What custom work was done to the bike? 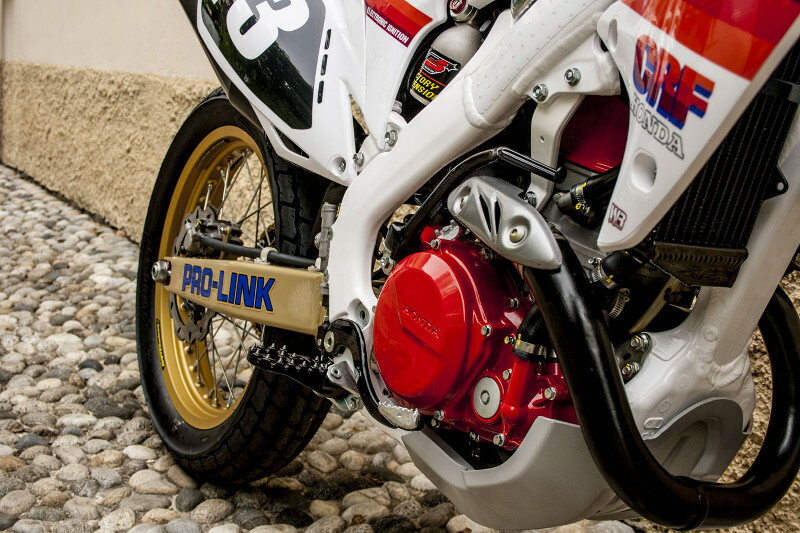 Alloy tank, lowered suspension, flat track rims with tubeless tires. • Does the bike have a nickname? 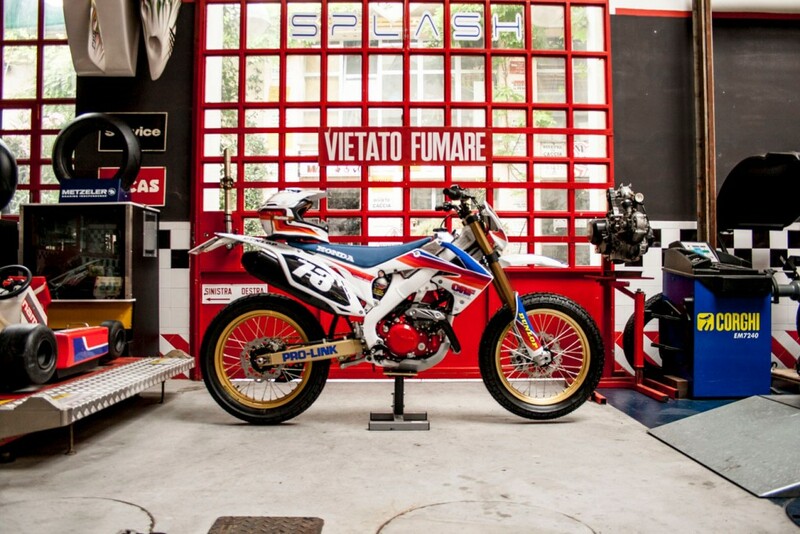 • How would you classify this bike? • Was there anything done during this build that you are particularly proud of? 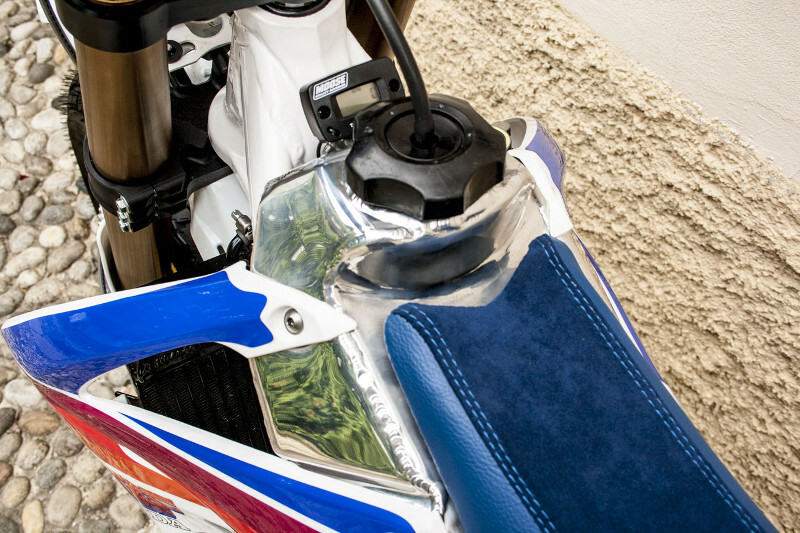 The colors and the fuel tank. Mac-Daddy of the BikeBound Clan.